The 2016 solstice occurs at 6:34 p.m. Eastern Time on June 20, today, marking the first day of astronomical summer and the longest day of the year in Earth’s northern hemisphere. 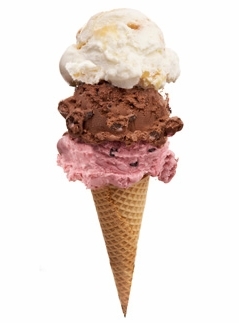 Summer time is easy - Vacations, trips, causal evening, walking at the mall, dinner at an outside cafe and ice cream. Simple is always better. 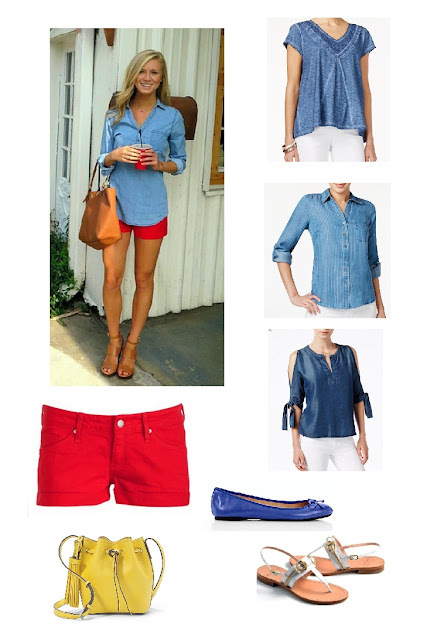 Simple outfits like denim tops can be paired with colored shorts, like the red one above or simple white shorts/jeans. Play with colors and for summer everyone expects bold. Most important, look comfortable and cool. All of the tops are Macy's Style and Co. I have found the sizes on these to be generous and I love the smooth almost silk like texture. The red shorts can be found almost everywhere and I have come to love the short-short look. Just make sure some of the shorts show below the top - otherwise be prepared to attract attention. Sandals and flats would be my choice but you can see how good the heels look above. The purse is a place to play with color and I love this Ralph Lauren Polo Mini Leather Bucket Bag, on sale that I picked up this weekend. The sandals are from my favorite sandal shop, Il Sandalo in Palm Beach and the flats are Talbot's Jilly Leather Ballet styles. What a great summer look!!!!! Find something to do on the first day of summer. Put on your best "Summer Easy" outfit and head to the lake, beach, cafe, or outdoor shopping mall. Ice cream optional. I love the Summer Easy Fashions with the except of the shorts. Being an older lady, I leave the short-shorts for the younger ladies. You do have lovely fashion sense.